Before– This patient did not like the gap between her two front teeth. After– Dr. Jack Hosner of Portage, MI bonded tooth colored dental material to these two teeth to close the gap and create a more desirable appearance for this patient. Before– This young patient did not like the space between her two front teeth and did not want to have orthodontic treatment/braces to correct. After– This photo was taken immediately after treatment. Dr. Jack Hosner of Portage, Michigan bonded, contoured, and polished tooth colored dental restorative material to her two front teeth to close the gap. This was done in one appointment, painlessly, and without anesthesia. Before– This patient didn’t like the space between her two front teeth or the odd shape of the tooth you see on the left. After– Dr. Jack Hosner of Portage, MI placed a porcelain crown on the tooth on the right, and he bonded composite resin to the tooth on the left to close the gap and create ideal shapes. Before– Narrow teeth with spaces between them. After– Porcelain veneers were placed on the four front teeth by Dr. Jack Hosner of Portage MI to restore proper shape, contour, and esthetics. Before– This patient didn’t like the shapes of her two front teeth or the space between them. 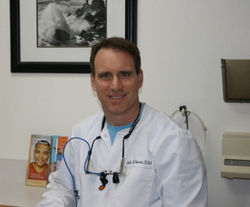 After– Dr. Jack Hosner of Portage, MI bonded tooth colored material to reshape the teeth and close the gaps. Before– This patient has a dark front tooth that has had root canal treatment and is weak and fragile. Also, this patient didn’t like the space between the two front teeth. After-Dr. Jack Hosner of Portage, MI placed a porcelain crown on the dark, weak tooth and a porcelain veneer on the other tooth to close the gaps and create good color match. 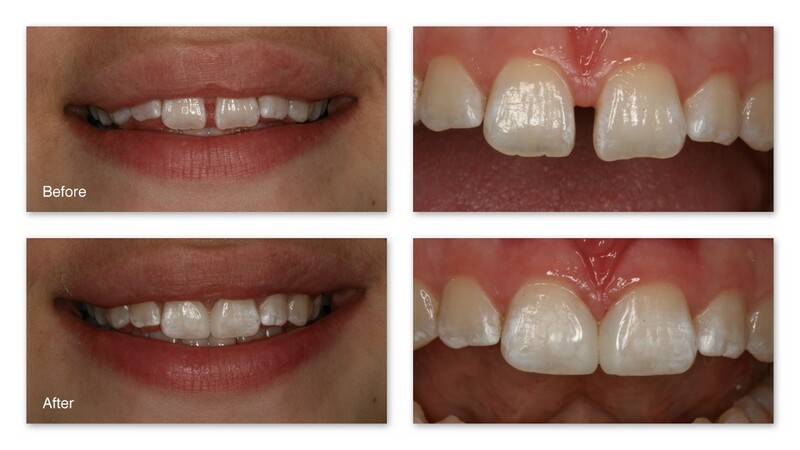 Before– This patient has crooked teeth, excess spaces between teeth, and excessively narrow lateral incisors. During– With braces, an orthodontist straightened her teeth. 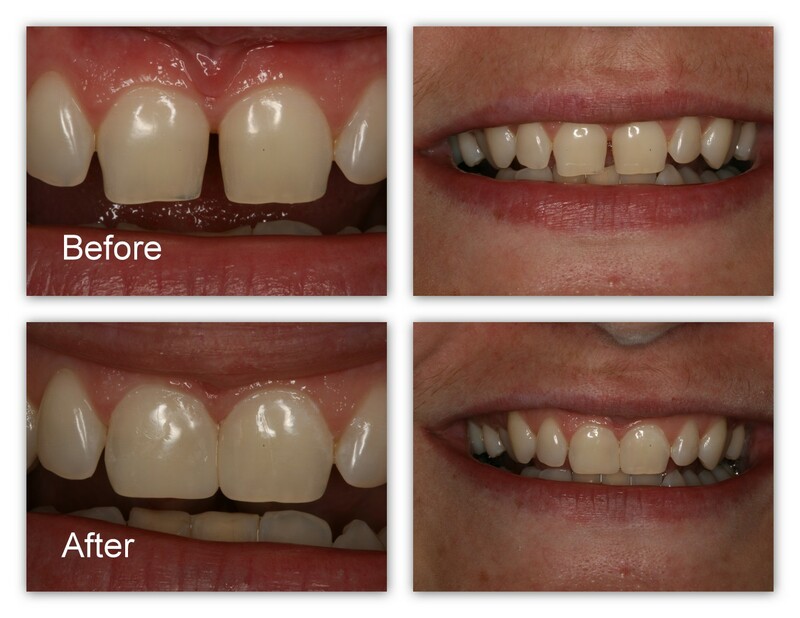 After– Dr. Jack Hosner of Portage,MI placed porcelain veneers on the two narrow lateral incisors to close the gaps. Before– This patient does not like the shapes of his lower front teeth and the resultant gap. After– Dr. Jack M. Hosner of Portage, MI restored proper shape to these teeth and eliminated the gap in one appointment by bonding composite resin. Before– This young patient of Dr. Jack Hosner’s did not like the appearance of her two front teeth nor the gap between them. 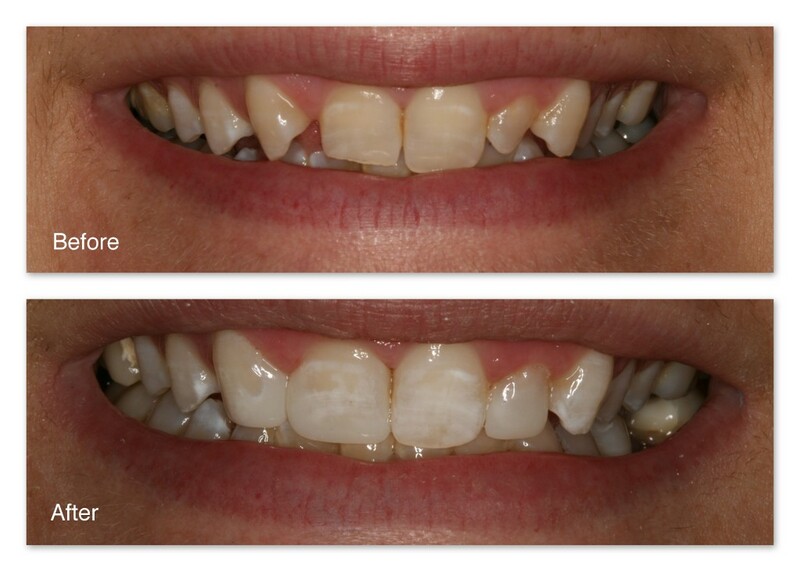 After– This picture shows the teeth immediately after bonding with composite resin by Dr. Jack Hosner of Portage, MI. This procedure was completed comfortably with no anesthetic. Before– This patient wanted the space between her two front teeth closed. 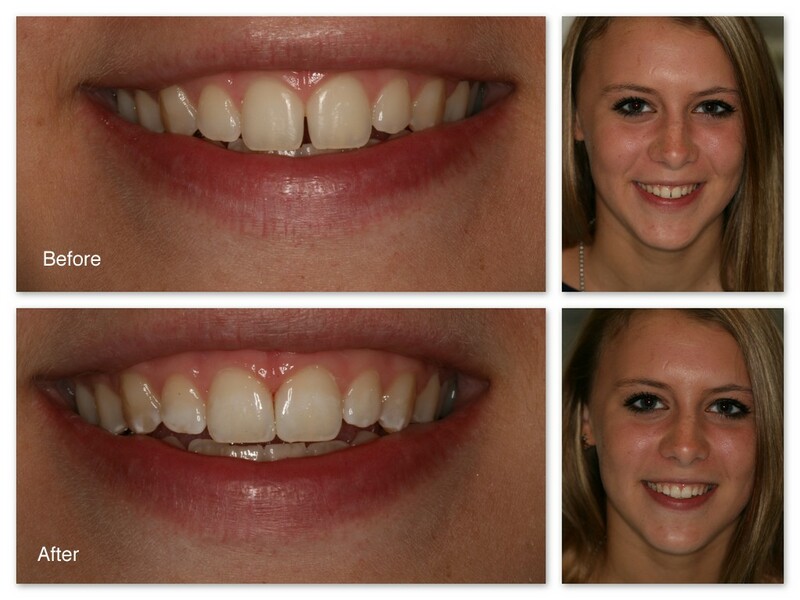 After– Dr. Jack M. Hosner of Portage, MI bonded composite resin to her two front teeth to close the gap. 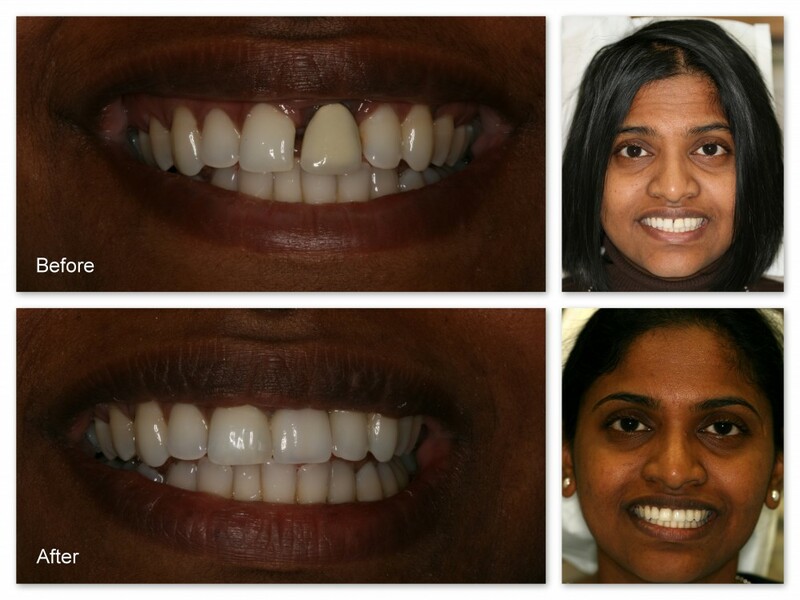 Before– This patient did not like her smile. Crooked teeth, gaps, and uneven appearance. Ideally, she should have a combination of orthodontics (to put the teeth in the correct positions) and porcelain veneers of crowns. She could not afford this treatment. After– As a compromise, Dr. Jack Hosner of Portage, MI bonded tooth colored composite resin to her teeth to reshape them. Although not ideal. it is a huge improvement. This was done comfortably without anesthesia in one appointment.